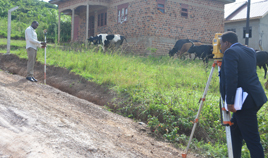 With all the years of t experience in land matters, high quality technicians and machines; Buganda Land Board has extended its services to people with land issues in any part of Uganda.  Conveyancing: Involves transfer of legal titles, formal registration and titling of land rights.  Documentation: Drafting and registration of sales agreements and mortgages; indemnity deeds and caveats.  Ascertainment of ownership and conducting due diligence on all forms of property holding.  A highly experienced team of surveyors are available to offer all surveying services to private clients for individuals and institutions. Consultation services in litigation; acquisitions; resumption of land and compulsory acquisition by parastatal organizations.